The primary concern for most teenagers and young adults is to have fun now and worry about the future later. Unfortunately, when the future does come, it doesn’t always turn out quite like how they expected or wanted it to. As a result, many people who enter adulthood find themselves in a low paying job which they hate doing, only to find themselves wishing that they had made better use of their time when they were younger. But by this stage, it’s too late, and so many of these people will spend the rest of their life poor, broke and filled with regret. You, however, are different, because as a teen or young adult you are actively looking for a way to ensure that your future is the best possible future that it can be. Just because you’re young it doesn’t mean that you can’t be rich. You searched the internet for ways to make money and found this post, when you could have been looking for information on your favorite sports team or celebrity like so many other people do. Be proud of this fact, because focusing your time and effort on the things that are going to provide long-term benefit to your life, rather than on the things that won’t, is exactly what separates the successful from the unsuccessful people in this world. 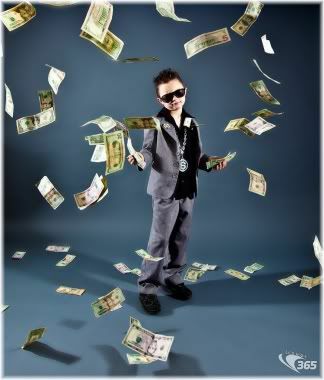 In this article, we are going to talk about some simple and proven ways to make money as a teenager or young adult. All of what we are about to discuss I have done myself, so I can say with absolute certainty that what you are about to read is possible if you really want it and are willing to work hard for it. As an added bonus, all of the following methods will introduce you to some basic business skills that you will find useful later in life. Do your parents give you pocket-money or an allowance? If not, then you are missing out on one of the best ways to make yourself some easy money! Your parents can probably afford to give you a few dollars each week. But before you get too excited, you need to understand that there are two types of pocket-money that a parent can give you. The first type of pocket-money is given to you for free, and without you having to work for it. In other words, your parents give you pocket-money regardless of what you do or don’t do. The second type of pocket-money is the type that you have to work for. Your parents will only give you your pocket-money if you do something for them. As a result, you have to work for your money, so it’s almost like having a job. If you currently don’t get an allowance from your parents, but would like to, then it might be time to ask! Many parents don’t give their teen an allowance not because they don’t want to, but because they were never asked for it! You will be surprised at how many parents will agree to give you money if you only ask. You do, however, need to ask for it in the right way, as otherwise, your request may be rejected. So lets look at how you can do this. If you are not happy with your allowance, be prepared to negotiate for more! First, think about how much money you would like to get each week. We would all like a $100 allowance per week, but for most of us, that isn’t going to happen! So your number must be realistic, and what your parents can afford. Once you have a figure in mind, double it! So if you want $10 a week for example, double that amount to $20 a week. Now go to your parents and explain to them why you need an allowance. Make sure that you give them a very good reason why they should give you money each week or month. Remember, you will either get pocket-money for free, or you will have to work for it. If your parents don’t seem too keen on giving you money for nothing, then offer to do something for them to earn it. 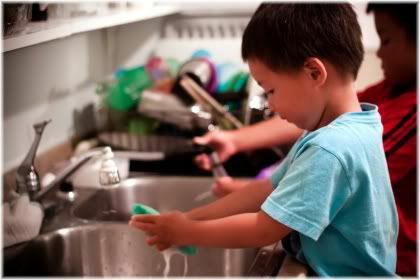 For example, helping around the house, taking the trash out or washing the car. Whatever you do, the amount that you get paid will increase in proportion to the value that you provide. In other words, the more useful that you can be to your parents the more money you will get. The more value that you provide the greater your returns will be. If your parents agree to start giving you pocket-money, they will then ask you how much you want. This is when you tell them the number that you doubled. Your parents however, probably won’t agree to this and will then offer you a lower amount, say $15 or $10? Well guess what? That’s great! Because you only wanted $10 to begin with! If you told them that you wanted $10 at the start, they probably would have bargained you down resulting in you getting less than what you originally wanted. One tip to remember when using this tactic, is not to make your original offer too high because if you ask for too much straight away, then you might end up getting nothing. What you have just learned is a very basic negotiation tactic, and one which you can use throughout the course of your life especially when dealing in the business world. Another point to remember, is that the best time to ask a parent for something is when they are in a good mood. People who are in a good mood are far more likely to agree to your requests than if they are busy or in a bad mood. So make them happy before you ask! Most of time, you won’t get money for doing nothing. This means that you are going to have to work for it. The more valuable the work that you do for someone else is, the more money they will pay you for doing it. Always be prepared to negotiate for more if you are not happy with what you are getting or if you are not being paid enough for what you’re doing. Paid surveys are a simple way of making money. All they require is a little bit of time to answer some questions and give your opinions on things. Paid surveys won’t make you rich, but they can help to generate a bit of extra income and expose you to the concept of making money online. You probably won’t get rich doing paid surveys, but it can still be a good way to earn some extra cash. A lot of paid surveys specifically target teens, and so there should be plenty of work out there for you to do. Usually, you will find that most sites are free to sign up with and the only information that you will need to provide is your name, address and payment details. 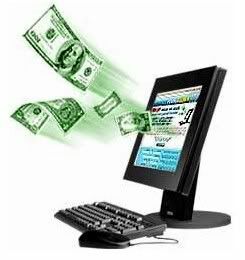 There are some sites that you have to pay to join before you will start receiving surveys, but as there are also many free sites, the paid sites are normally best avoided. If you don’t have a bank account to get your money sent to, ask one of your parents if you can get paid into their account. Some sites may also pay into a PayPal account. Alternatively, you can fill out surveys that will pay you in vouchers instead of money, in which case, you won’t need a bank account. When you sign up to a survey site, you will most likely receive a lot of mail from them. So unless you want your inbox becoming cluttered with surveys, it is best to create a separate email account just for the surveys. 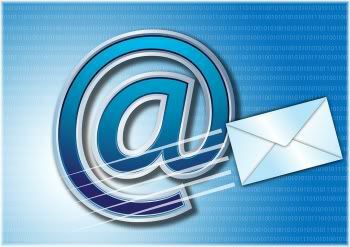 Create a separate email account for your paid surveys and make sure that you check it often. Another important point to remember is that some surveys are time sensitive and must be completed within a certain number of hours, or more commonly, days. So if you want to make money with paid surveys, remember to check your inbox often! The best way to do this is to use an automatic email checking program such as Pop Peeper. But you should also remember to manually check your junk mail folder often, as some surveys could be placed there by your email provider. As the number of surveys that you complete begins to increase, you will probably find that it takes a very long time to complete them all. Having to type everything in by hand can also be a real chore, but fortunately, there is a free tool which you can use that will greatly speed this up! 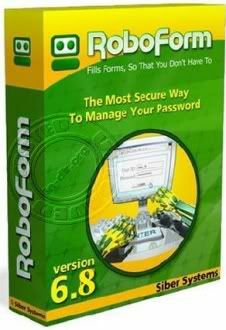 Roboform is an excellent automatic form filler. RoboForm can automatically fill in commonly asked for details such as your name, address and things like user name and password. If you plan on doing lots of surveys, you really need to be using this tool or something else like it as it will make things much easier for you and save you a lot of time. Don’t expect to get paid very much for doing things that require little skill or training, and which lots of other people can do just as easily as you. The more skill that something requires, the fewer people who will be able to do it. As a result, if you have a skill that is rare or in short supply, you will most likely be able to make a lot of money from it. eBay is a great way for teens to make money and almost anyone can do it. 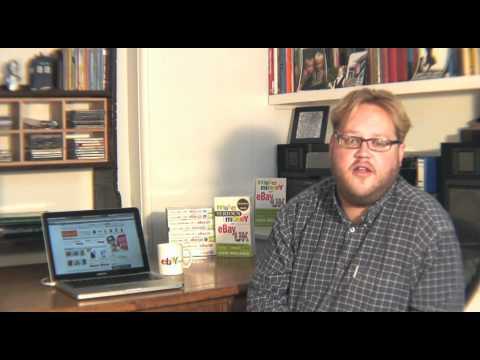 Many people make a living selling stuff on eBay, and if you are willing to put the time in, you could too! Some people make a living entirely from what they sell on eBay. 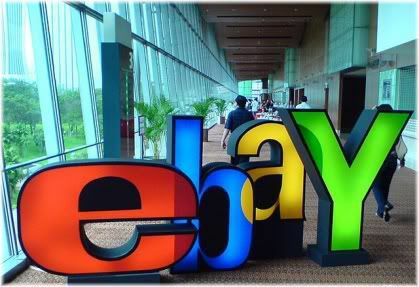 The first thing you need to start making money with eBay is to get something to sell. People buy all sorts of things on eBay, so you can sell virtually anything. To give you an idea of the sorts of things that you could sell, and how much money you could make from selling it, go to eBay and search for something that you are thinking of selling. If someone else is selling the same or a similar item, this will then give you a rough idea as to whether or not it is worth selling. The best way to do this is to create an eBay account, because once you are logged in you will then be able to show “completed listings” only. This option is available on the left hand menu bar, and will show you past completed sales and the final value of those sales. A good place to begin looking for things to sell is in your own home! Often people collect so much junk over the years that it just sits in the house and is forgotten about. 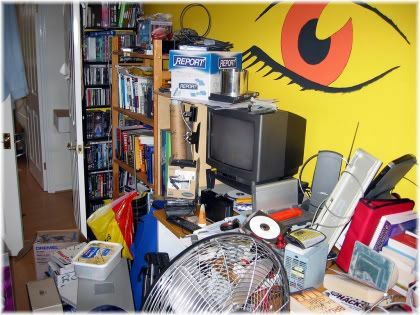 Some of these pieces of “junk” could make you a lot of easy money! I have sold many things on eBay that I didn’t want anymore and had forgotten about, but ended up getting quite a lot of money once they were put on eBay. You probably have a lot of stuff in your home that you don’t need or no longer use. Sell it and make money! Selling my junk from around the home was the first I did when I started selling on eBay. I started with small things in my bedroom and around the house that I didn’t mind selling and then had a look in my garage. But eventually, you will run out of things to sell and so you will soon need a new supply. What I found to be very effective, was to buy things at low-cost at car boot or garage sales and then sell them for more on eBay. Doing so will give you a continual supply of items to sell and so you could potentially turn eBay into a nice primary or secondary income for yourself. Here is a very important tip if you are going to local sales with the intention of buying to sell. Get there as early as possible! This is because you probably aren’t the only ebayer who is buying to sell, and so if you turn up late, most of the good stuff will be already gone. When looking around the stalls, don’t stop for several minutes at each stall. When you first get there have a quick whiz around and scan each stool for any items that could be of value. This is important because the very best things will go quickly, and so you also need to be quick to ensure that you get them. 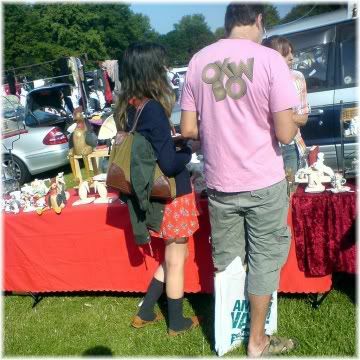 Have a quick look at each stall and snap up any bargains before someone else gets them. Once you have gone around all the stalls you can then go around again more slowly, taking more time to look. Keep an eye out for new sellers also, as sellers tend to arrive throughout the day. When you find something that you like, don’t act as if you really want it. The more a seller sees that you want something, the higher they can keep their price when you try to bargain for it. So always act disinterested in the things you really want. Next, offer them a price below the asking price, and then use that value as the starting point of your negotiation. This will come with practice and is another negotiation skill that you can use later in life. If you can’t go to a local sale, you could always offer to sell things for other people. This can be done by asking people in your local neighbourhood if they have anything which they would like to get rid of from their home. You can either agree to sell their items for them and keep a percentage of the final sale, or buy their items from them and then sell them yourself. Alternatively, you could offer a house clearing service where you offer to get rid of people’s junk for free. Another option to make money with eBay is to sell things which you make yourself. This can be very profitable if you have a talent at making something, for example, electrical items, paintings, jewelry or clothes. And because you are making it yourself, your profit margins can be very high and you will always have a continual supply of items to sell. Anything you make you can sell. Overall, making money on eBay isn’t rocket science. As long as you have something to sell you can always make money. The trick is, to buy items at low-cost and then sell them for more. 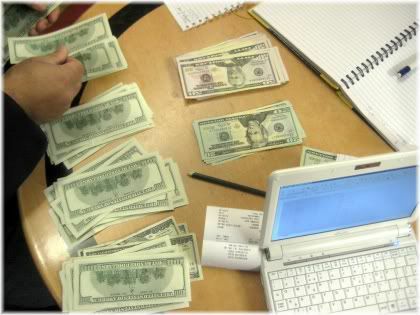 If you can do this on a regular basis, you can really start making some serious money! You don’t have to have a lot of money to start making money. You can buy things at low-cost and sell them for a higher price, or you can sell things that you make yourself. This is how businesses start. Starting a business is an excellent way of making money, and it will also teach you important business skills that you can use to make more money as an adult. However, starting a business is not something that all teens can do, or want to do. Starting a business requires a lot of hard work and effort to begin with, but once you get everything set up, it is a great way to make some real money. Starting a business is the hardest way to make money, but it also has the potential to offer very large returns. Whilst there are lots of different things that you can do to make yourself money, you first need to ask yourself two questions. 1) What can I do? 2) What am I willing to do? The first question is very important because before you can start making money, you first need to decide what skills you have that you can use to make money. If you are good at painting for example, that is a skill which can make you money and it’s easy because you will enjoy doing it and are already good at it. The second question is also very important, because even though you may have the skills and ability to do something, if you are not willing to do it, then you won’t make any money from it. What jobs can you make money from? 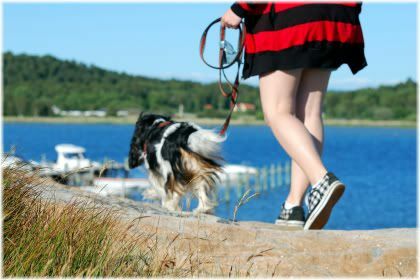 Some of the most popular businesses that can make money for teens are babysitting, walking dogs, cleaning cars, raking gardens, tutoring others, cleaning houses or selling things. 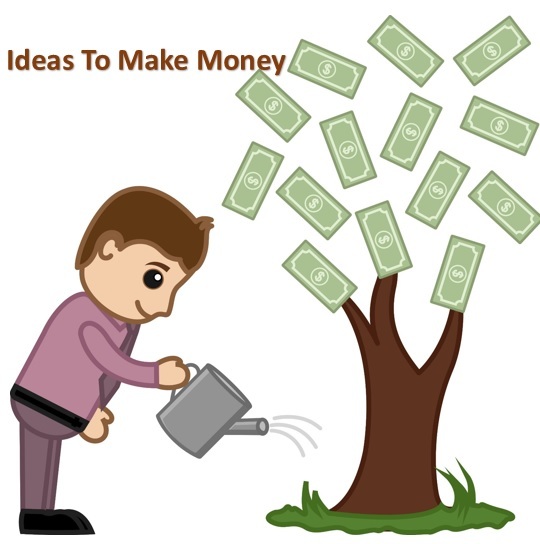 These are just some possible ways of making money, but I’m sure you can probably think of a lot more. You can offer a service by doing things for people that they would normally have to do by themselves. 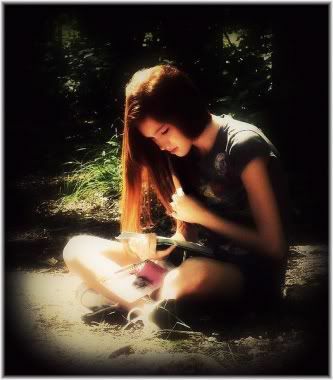 If you can’t think of anything, write down what you are good at and what you think the people around you need or want. Then brainstorm, and come up with as many ideas as you can. Whatever you choose to do, you will probably find that you have very little competition. Because unlike you who is finding out ways that teenagers can make money, most other teenagers are too busy playing on their computer or watching TV! This means that once you get yourself started, you could potentially make yourself a lot of money with little or no competition! When you set up your business, do not expect to start making lots of easy money straight away. That just simply doesn’t happen. In order for your business to be successful, you need to work hard to set it up and be patient to see the results. A business takes lots of time and effort to grow. Always ensure that you do the best job possible for your customers, and don’t try to cheat anyone or cut corners. If you can build a good base of customers by providing them with excellent service, then they will talk to their neighbours and other people about how good you are. This will lead to more business for you and more money in your pocket. To get yourself started, print up some business cards/flyers and give them to the houses in your neighbourhood. Use them to briefly describe who you are, what you are offering and how to contact you. An even better way to promote your business is to knock on doors and personally tell people what you are offering. People will be much more willing to use your service if they can see you face to face, rather than just receiving a card through their door. Also, don’t be discouraged if you get a lot of no’s to begin with! People do business with people, so if they like you, they will be more willing to buy from you. Starting up a business takes time to gain momentum, so keep trying or come up with another business idea if you feel that your current idea isn’t going to go anywhere. Finally, with the money that you earn from your business, you should aim to save a portion of it and then reinvest as much as you can back into expanding your business. This will help you to grow, whilst also helping to ensure your future financial security. A business provides a service or product that other people value and are willing to pay money for. Quality counts. A business takes time to grow and must be promoted, so it’s not a quick and easy way to get rich. This is why many people never start a business or give up quickly when they do start one.